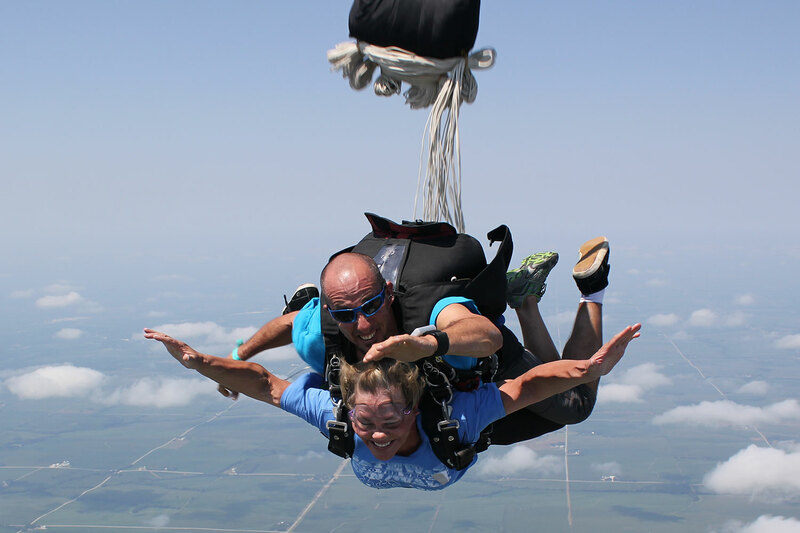 Here’s a quick guide to show you what to expect during your first tandem skydive. Before making your skydive we will walk you through the skydive, have you watch an orientation video, and explain the safety features of our tandem equipment, including the automatic activation device. 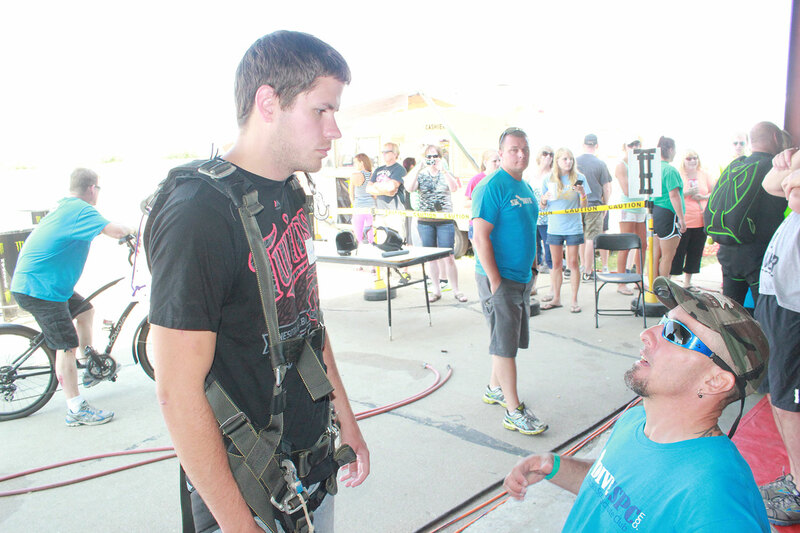 Your instructor will help you gear up for your jump about twenty minutes prior to making your skydive. If you've chosen to have a video of your skydive, your videographer or tandem instructor will record a short interview during this time. Depending on your type of aircraft and atmospheric conditions, you'll arrive at your jumping altitude between 10 and 25. 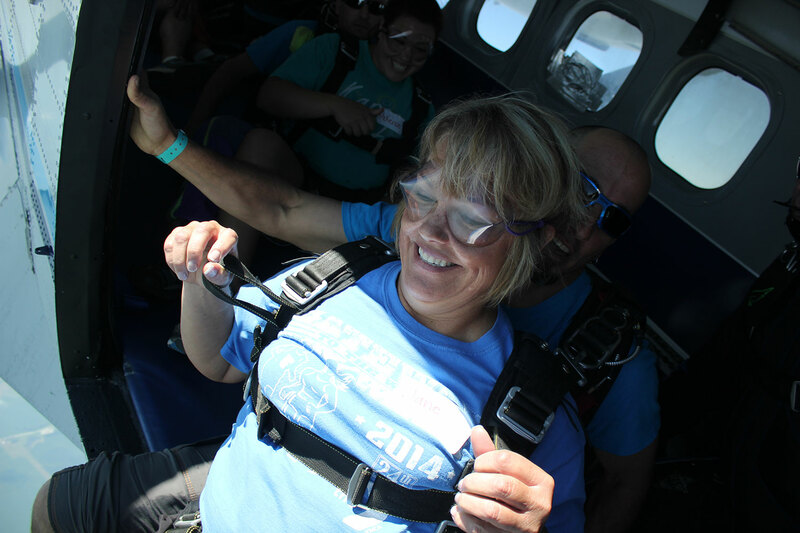 Take time to look out of the window and enjoy the view; you're about to jump out of the airplane! Before boarding the airplane your instructor may give you the option to pull the ripcord that starts the parachute deployment. 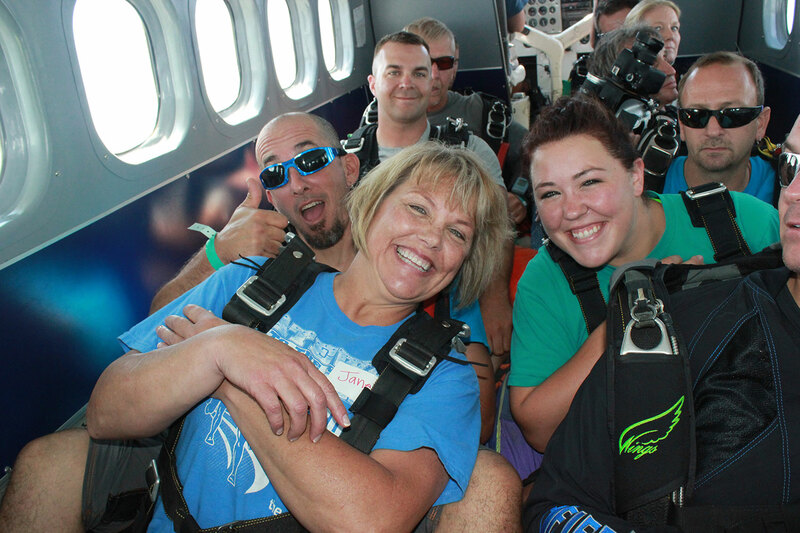 At approximately 5,500 feet either him/her or you will pull the ripcord to open your parachute. It's a feeling that's similar to pressing the brake pedal in your car. Your instructor will guide you to the landing area. During this time it's important to keep your feet raised above you so the instructor touches the ground first. The landings are similar to stepping off of a step stool. 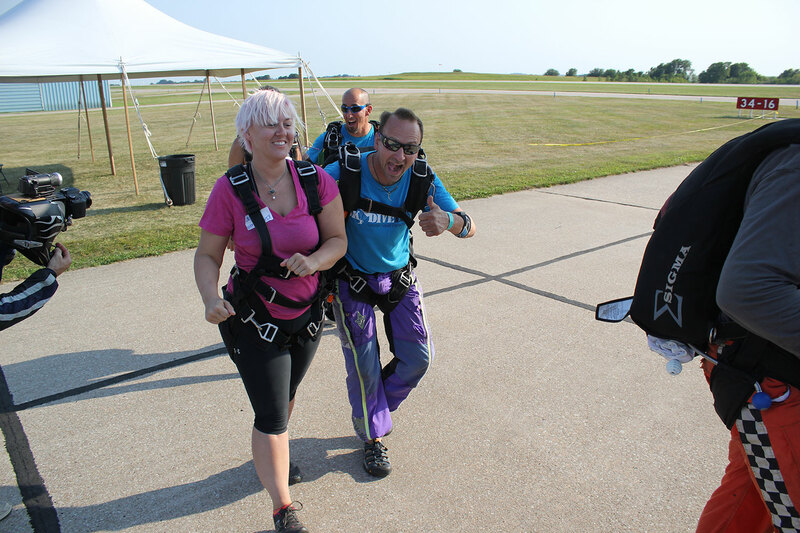 Congratulations; you've made your first tandem skydive!